President Trump decertified the JCPOA or ‘Iran Deal’ of 2015, on Friday May 11th. Trump has kicked off a firestorm of coverage which has not fully explained what’s going on. Again. Time to find out about the details of the Iran Deal in Trump Kills Iran Deal-Now What?-Foreign Affairs Update-Podcast 721. Moreover coverage of international relations doesn’t usually generate a lot of views, likes or shares. Hence one of the main reasons American media spends a lot of time on salacious stories. Furthermore, voters don’t think about these things in election years. Slogans and shouted one liners on the campaign trail get lots of applause from true believers. Build The Wall. Tear Up The Iran Deal. Make America Great Again. Truth is our leaders can make serious mistakes in this arena. Consequently missteps and screw ups can effect all of us for a very long time. Seems like presidents get a lot of support from congress and the people as they blunder about. Therefore, some background some of these mistakes in Time to find out about the details of the Iran Deal in Trump Kills Iran Deal-Now What?-Foreign Affairs Update-Podcast 721. The so called Iran Deal is not even an Executive Agreement, as has been reported. Most noteworthy it is within the president’s discretion to do anything he wants with this agreement. Did Trump ‘kill’ the deal? Is it a mistake? Was Iran violating the terms of the JCPOA? In addition was it constitutional for President Obama to enter into a political commitment? Did the House endorse elements of the deal? Did the Senate debate the agreement? Find out in Time to find out about the details of the Iran Deal in Trump Kills Iran Deal-Now What?-Foreign Affairs Update-Podcast 721. Whatever Trump Does Is A Mistake, right? In conclusion one of the problems with this president is the media’s habit of reacting to anything he does as a mistake. Without defending the president, maybe the specifics should be reported and judgments left to the American people. Most of all, that’s what I do in this podcast. 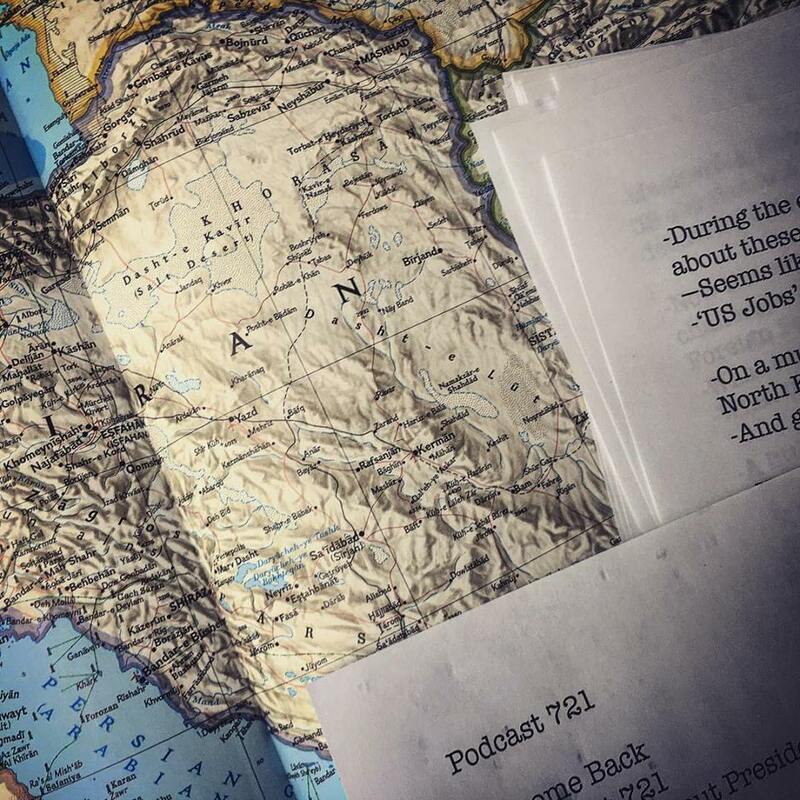 Find more podcasts on the Iran subject from the campaign trail in 2016, and through the years here.